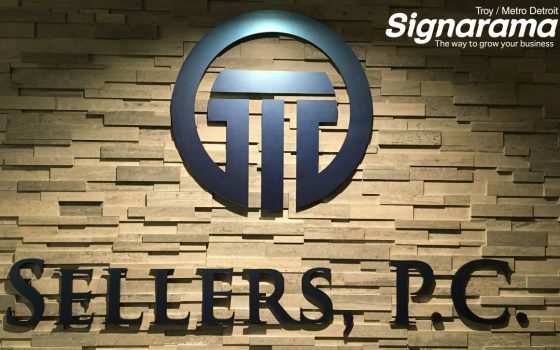 Are you a law firm looking to strengthen your brand with a law firm lobby sign? Or perhaps a doctor's office hoping to give your patients confidence while waiting in your waiting area? 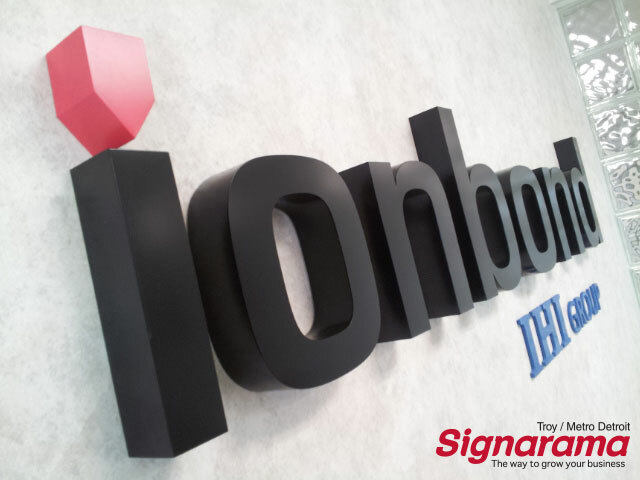 Let our sign experts here at Signarama of Troy / Metro Detroit show you how we can build custom routed lobby sign lettering for your walls! With lobby signs, there are many different options to make a sign that will brand your lobby in a creative way. 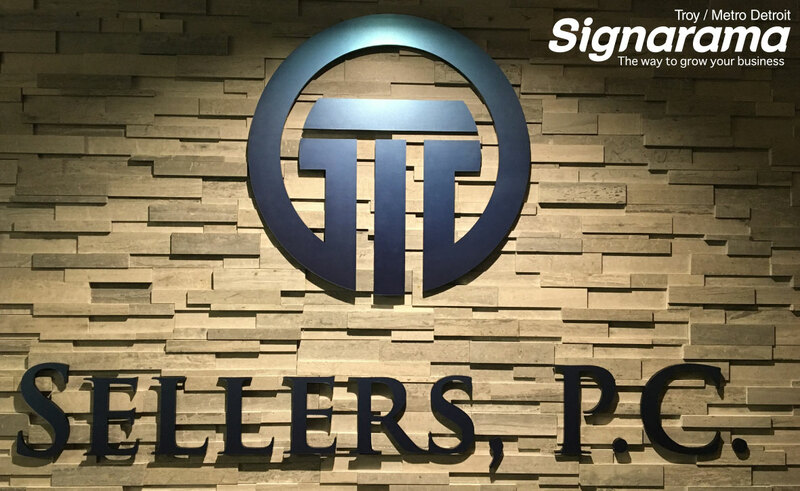 When you pair our design team with our CNC router table, you get the highest quality sign with an amazing impact! Dimensional letters are an incredible solution for your lobby signage. There are many different types of dimensional letters that are used for many different reasons. Foam & PVC letters are a lightweight option. Both types of letters are produced out of a high-density foam core with a smooth hardened surface on the front & back. Foam letters such as Gatorfoam allow for smooth routing on our CNC router tables & are typically painted, any custom color of course! 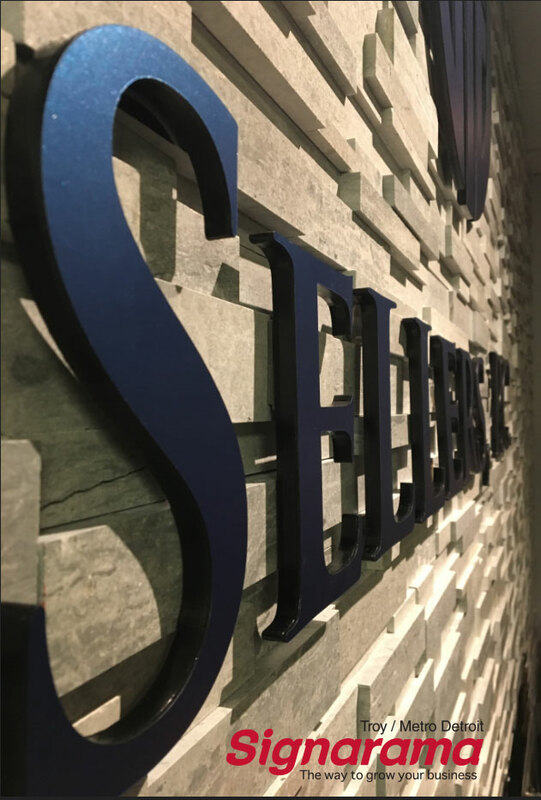 While foam & PVC letters are one of the best options for interior signage, metal letters & logos are a higher end option that provide a more elegant & polished look. Metal letters such as aluminum can be used outdoors as well & can be made at various thicknesses & finishes, such as chrome or bronze. Are you looking for another type of lobby sign? 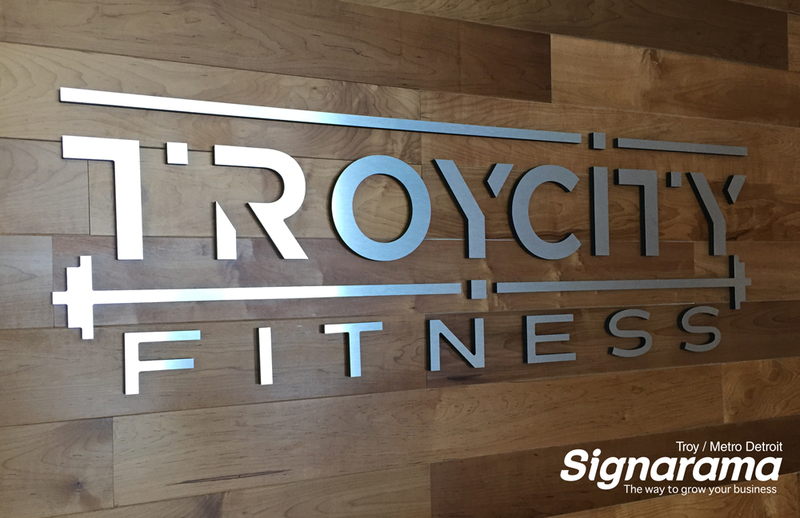 Your sign experts at Signarama of Troy also provide solutions for your lobby sign using acrylic plastic. The thickness of acrylic can vary, as well as the color, but we can also custom paint the letters using our paint booth at our Troy facility. Signarama Metro Detroit is a proud top supplier of Gemini thermoformed plastic letters. This type of plastic letter is a great solution for indoors outdoors. Gemini letters also include a LIFETIME guarantee against all fading, cracking, or peeling. 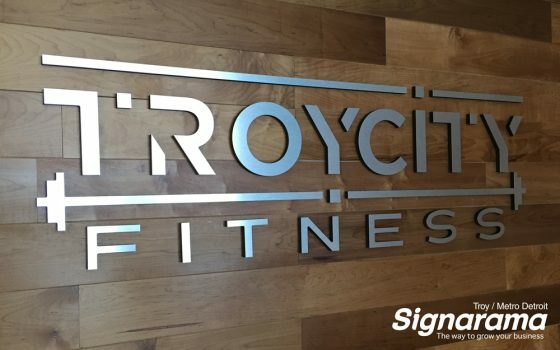 Signarama of Troy / Metro Detroit is your top choice for any type of interior lobby sign. Are you looking for a custom sign that no one has seen before? Bring your idea to our exports so that we can help bring your idea to life! 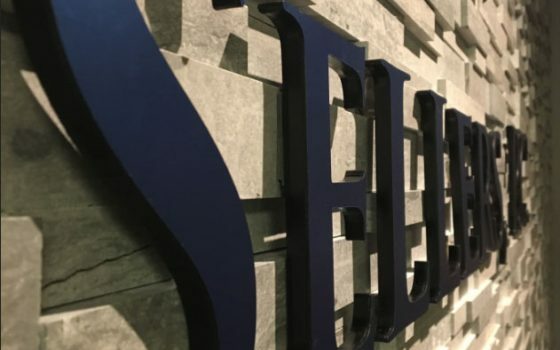 Our team will work with you every step of the way, from design to installation to manufacture a sign that will stand out in your lobby or waiting area!